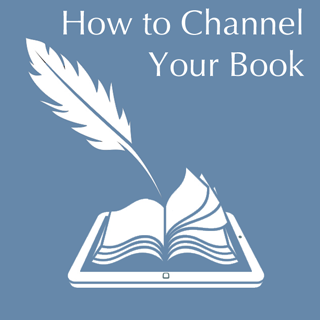 Want to learn how your book can write itself? Do you want to write a book but don’t know where to start – or what to write? The How to Channel Your Book self study course will show you how to tap into your Creative Muse so your book virtually writes itself. Channelling is not just about connecting with the ‘dear departed’. Channelling is all about being in ‘the zone’ and allowing our conscious mind and inner critic to go quiet so we can tap into the collective consciousness. When artists, musicians and authors channel, they produce their best and most sublime work. Time also takes on an ethereal quality. This ecourse is agnostic about what you actually channel – you can call it the “mind of god”, the archangels or angels, your guides, the ascended masters, your future self or just the “universal mind”. This course will be delivered in eight modules over a period of 8 weeks. In this time, you may even end up with a first draft of your book. Note that my quickest channelled book, which was 12,000 words long, took 3 weeks from writing the first word until the book was available worldwide in print and for ereaders. I used all the techniques in this course to deliver it in this time. I had no plan to write it either, it just came in once I opened up to it. In total, there is over an hour of video tutorials, three hours of mind-opening meditations and two hours of case study materials. To start off gently, you will learn how to make your mind go quiet so you can tune into your creative muse – and optionally to connect with your guide. What you will learn this week can be used for any creative task and to receive insight on anything. How to ensure you are fully in the loop and ‘directing operations’. Learn about developing a meta-structure for your work so that your channelled information neatly fits into your design for your work. This helps greatly knowing when a book is finished. How to write a book with your reader’s transformation in mind and so they actually finish reading the book. How to write in trance so your reader will be entranced. Learn how to channel your ‘future self’. How to quickly deliver the main content for your work and end up with a first draft within weeks, or even days. Learn how to use your Dream Time to be creative. Once we tune into guidance, we get messages at all times of the day, sometimes in very strange and unexpected ways. Find out how to use such serendipitous happenstance in your book cover designs and how to write a book description to encourage a reader to purchase your book. How to channel the answer to any question and how this ability can be woven into your writing – or used in your work and practice. This course is not all about theory. It is about creating real world outcomes and outputs. In this last lesson, you will learn how to build your author platform and a myriad of ways you can share your creative output and generate revenues while you sleep. Find out too how publishing in the 21st century has become democratised and is in the hands of authors. There are also some fantastic case study interviews with other successful authors sharing their wisdom and experience.